Located in the grounds of a historic villa Rehua Cottage is the ideal getaway for couples who wish to experience the real Northland. 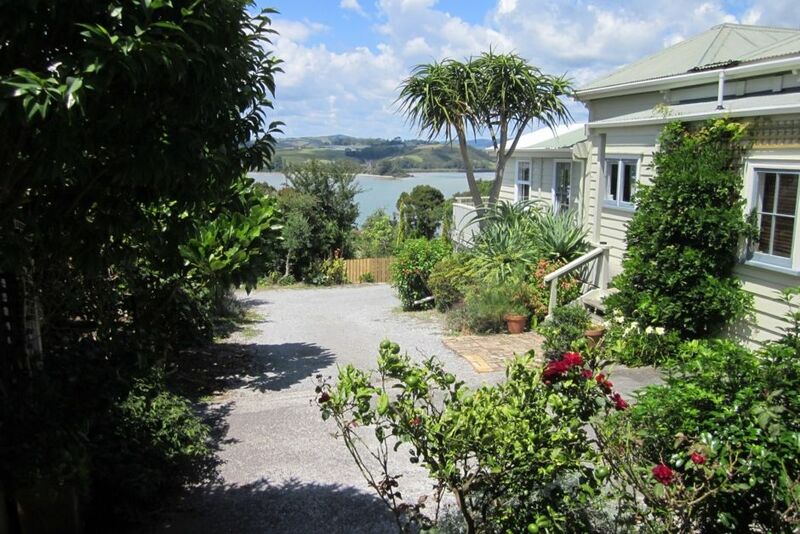 From the deck of the cottage you will have elevated views across Mangonui harbour to Hihi and at night you will be enchanted with the spectacular night sky that only Northland can offer. Situated only minutes away from the quaint and historic Mangonui which in turn is only fifty minutes from Kerikeri and one hour from the Bay of Islands. Safe beaches surround the area as well as vineyards and golf courses. Central and elevated location in the bay. An excellent small cottage for a few days away - central to all things in the village and only a short walk down the hill. Excellent bathroom, comfortable bed and everything you need to prepare a simple meal if required - lots of places to eat in the village. Thank you for the great review. It was a pleasure having you to stay at Rehua cottage. Kind regards Tracy. Perfect wee private central cottage for two! This is a wonderful cottage to stay in the far north for a few days. The cottage itself is beautifully clean, a perfect size for two has a lovely bathroom, a so very comfortable bed and a wee kitchen with a small fridge. Easy to whip up a salad for dinner or an easy walk only a few minutes down the road to Mangonui for a meal or to bring takeaways home to sit on the deck. The deck is in a lovely setting with a view and a great spot to catch the morning sun for your coffee or the afternoon shade for a drink after a day at the beach. We had a wonderful stay and felt really private from the main house. Gary and Tracy are awesome hosts and happy to help with anything needed. Thanks for a wonderful stay we would love to come back again. Thank you so much for such a great review. It was a pleasure having you both. Great little property with view to the bay. Great little property with view to the bay. Clean and modern, yet with it's on style, that anyone would appreciate.